UPDATE: The parodies have begun. Under Obamacare you can stay on your parents’ insurance until you’re 26. But when you reach a year older, Obamacare is jacking up rates 140% for the average 27 year old in Colorado. So how are supporters of the legislation counteracting that? Advertising with nearly naked people on the 16th St Mall and now ads designed to appeal to college frat boys in jorts. This ad comes courtesy of a coalition of left wing groups to promote the grammatically embarrassing website DoYouGotInsurance.com. No, dude, you don’t “got insurance.” You may get insurance, but it’s going to cost you considerably more now. And we hate to break it to the binge drinking buddies who agreed to make fools of themselves nationwide for the keg stand ad, but you’re not going to have any beer money left after you shell out the additional cash that Obamacare is forcing young people to pony up to get coverage. 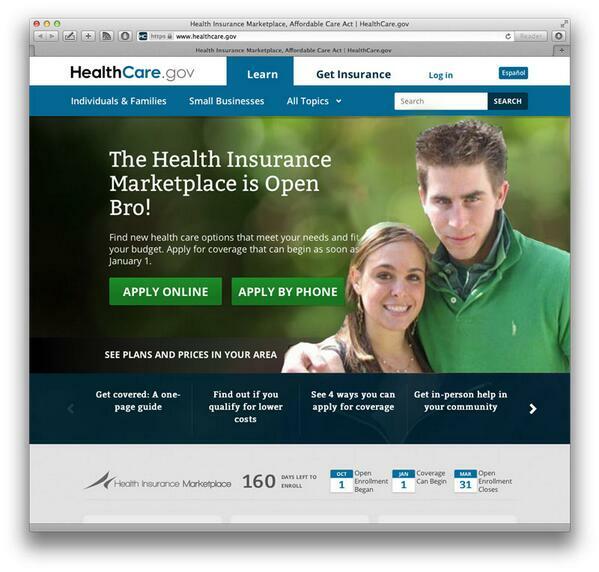 « MEASURING OBAMACARE: Will More People Sign Up Than Have Their Insurance Cancelled? Peter if it were always that simple…. One it's difficult right nor for a lot of 20 something's to find a job let alone a job that has health coverage or good health coverage. Two it's expensive to find a policy on your own, why would you pay huge premiums of you are a young healthy adult living in a major budget? Most people can't…some people won't. But don't act like you can just wake up and get a job and get good affordable health coverage. Because it just isn't always feasible. What man child of 26 needs to be on his Mom's insurance, great way to promote women's self respecting independence, you can be on Dad's insurance until you are 26. Get a job and get your own insurance! Learn Liberty, live free. Yep, I'd say that advertising hits its mark — hippies targeting freeloaders! Talk about sad irony, Shakespeare's brand of tragic comedy has nothing on this.